An invitation to support this event in Perth was too good an opportunity to miss for the launch of our first range of housing solutions. 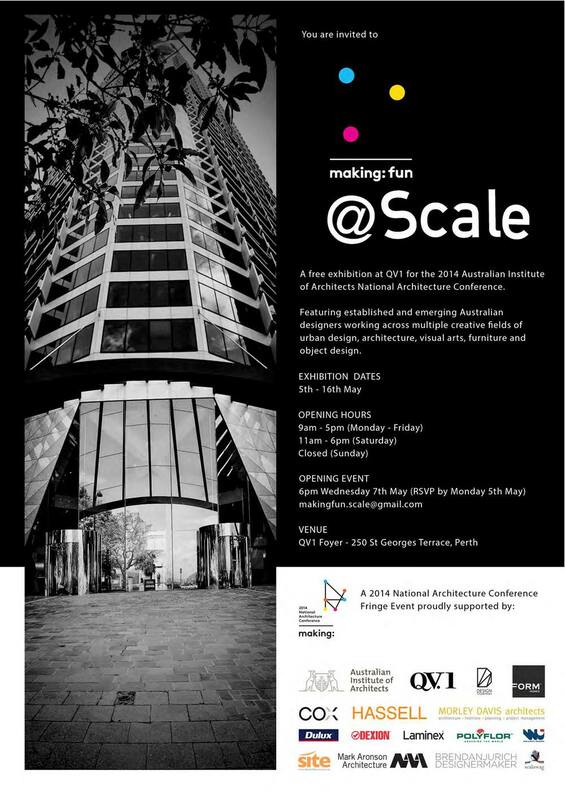 This exhibition is a support event of The 2014 National Architecture Conference. This exploration is depicted by Charles and Ray Eames in their film the Powers of Ten, conceptualising the relative scale of the environment in which we work. The exhibition features submissions across multiple creative fields of urban design, architecture, visual arts, furniture and object designs. QV1 Foyer, St Georges Terrace, Perth. Mon 5 May – Fri 16 May.